Umeå University supports Project MinE in Sweden. Neurforbundet and the Swedish Brain Research Foundation supported Project MinE with a donation.  For donations to Project MinE Sweden, please (for the moment) contact Professor Peter Andersen. We will regularly update the statistics on the Project MinE website to reflect the status of fundraising for Project MinE in Sweden. Project MinE research in Sweden is performed at Umeå University. 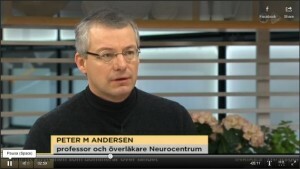 Professor/chief physician at Department of Pharmacology and Clinical Neuroscience at Umeå University. In Sweden fundraising for Project MinE is supported by Swedish Brain Research Foundation.